Not only a paperclip - also a money clip and a book mark. Full image area permits horizontal or vertical logos with space for phone number, website, etc. Grips from 2 to 40 sheets. Stainless steel with no sharp edges or pointed corners. 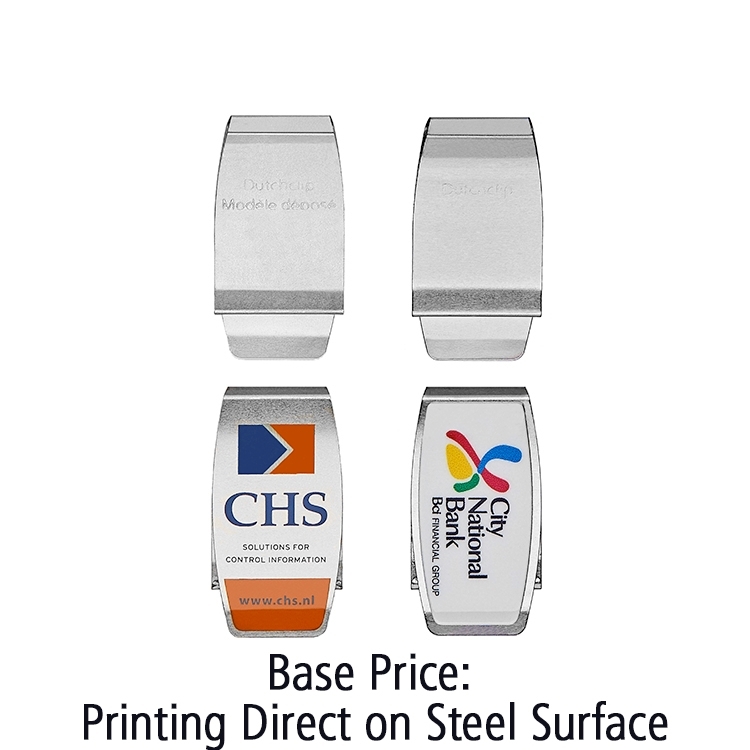 Printing on colored coated steel surface. Standard colors - White, Black or Gold. 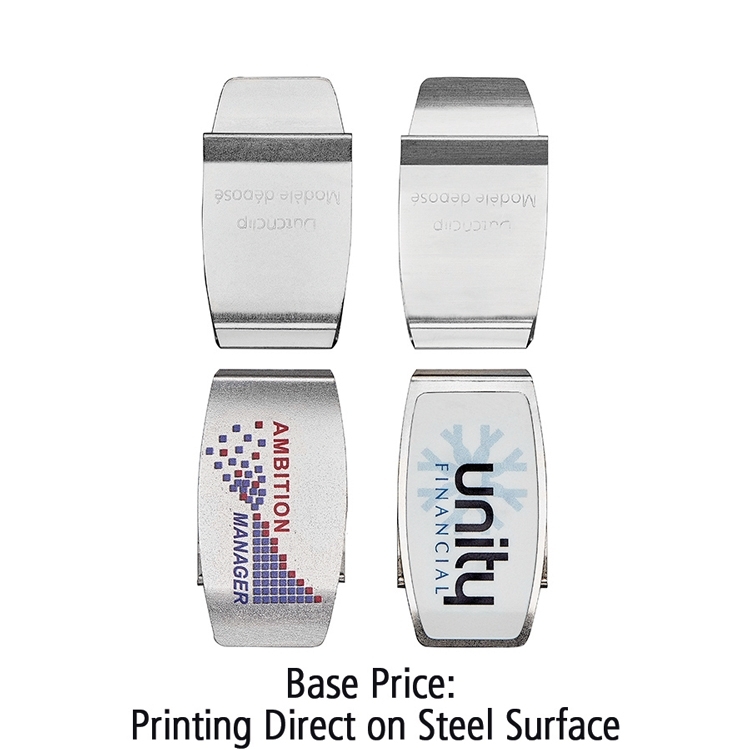 Click on the "Product Options" button below for upgrade pricing. Not only a paperclip - also a book mark. Grips from 2 to 20 sheets.